A multicenter study led by investigators from the Icahn School of Medicine at Mount Sinai recently identified an array of biomarkers that could help predict whether a transplanted kidney will later develop fibrosis—a panel of disorders which can cause the organ to fail. The findings from the new study—“Biopsy transcriptome expression profiling to identify kidney transplants at risk of chronic injury: a multicentre, prospective study”—published recently in The Lancet, suggest that the identified gene panel could be used to detect kidney transplant recipients at risk of allograft loss before the development of irreversible damage. The researchers in the current study—dubbed Genomics of Chronic Allograft Rejection (GoCAR)—obtained biopsy samples from transplanted kidneys three months and twelve months after transplantation. Using microarray analysis, the researchers determined which genes were correlated with biopsy samples which had an increased Chronic Allograft Damage Index (CADI) score—a measure of the level of fibrosi in the transplanted kidney—at the 12-month biopsy. 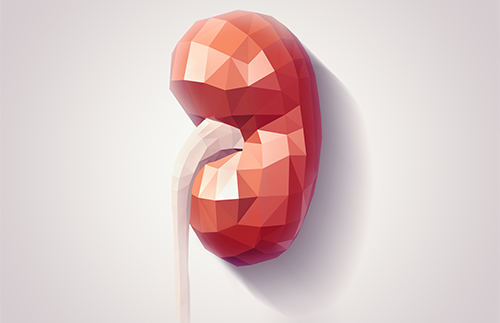 The researchers also narrowed the genes down to a predictive set that identified patients at risk for decline in renal function and loss of the transplanted kidney beyond one year. The rate of correlation of the identified gene set with damage was greater than the clinicopathological variables currently used in practice to identify kidney transplant recipients at risk of allograft damage and loss.